Duster knuckle clutches are popping up everywhere this season for every and any occasion and Chicastic takes a lot of pride in making sure you as customers have access to the latest trends at affordable prices. 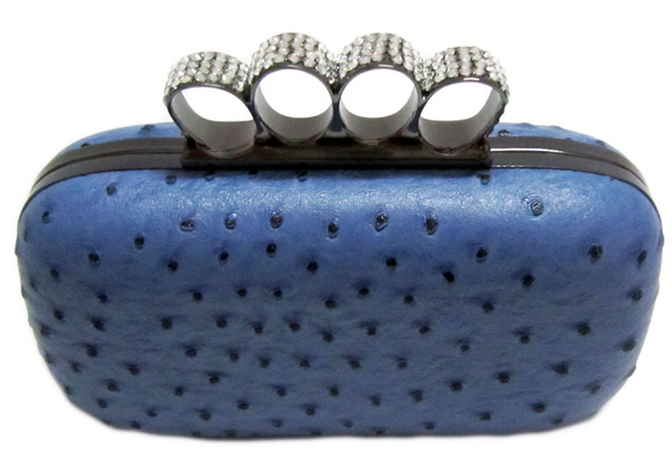 We have plenty of duster knuckle clutches you can choose from but one of our more popular ones this summer is our blue faux ostrich leather duster knuckle clutch. The cool blue color is great because it can be paired with almost anything without worries of it clashing with other colors and the rhinestone crystals add a bit of sparkle to it to make the clutch that much more likeable and interesting. It’s a must have clutch that also comes in dark grey and white so do yourself a favor by getting one in your favorite color before they are all gone.